High on the Northern Tablelands, Armidale is the most cosmopolitan NSW city outside Sydney catering for 25,000 citizens of 53 different nationalities. 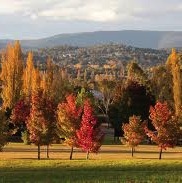 Armidale, with its unique blend of culture, state of the art technology, educational and natural beauty is a city offering diversity. Armidale is situated half way between Sydney and Brisbane and only two hours from the coast, it enjoys a warm summer, tones of amber during the autumn, a crisp winter and an exhilarating spring. Provides for all types of medical services including medicine, surgery, obstetrics, paediatrics, geriatrics and accident and emergency as well as outpatient clinics. Ancillary services include radiology, pathology, occupational therapy and speech therapy, social work, physiotherapy and pharmacy. New England High Country boasts spectacular waterfalls, gorges, world-heritage national parks, cool-climate vineyards and a fascinating and diverse cultural heritage. Canyoning, mountain biking, birdwatching, trout fishing and other outdoor adventures take on an exciting new dimension up high. Discover the galleries, museums, fine food and wine. Students in Armidale stay in either hostel-type accommodation or student houses. The hostel-type accommodation is at Rusden House, the old nurse's quarters, which is located about 200m from the hospital. This accommodation is owned and managed by Hunter New England Area Health Service. We also have a small number of houses to accommodate students. These houses are located within walking distance of the Tablelands Clinical School and the Armidale Rural Referral Hospital.